FEC moves to stop $9 million yearly mining loss – Royal Times of Nigeria. 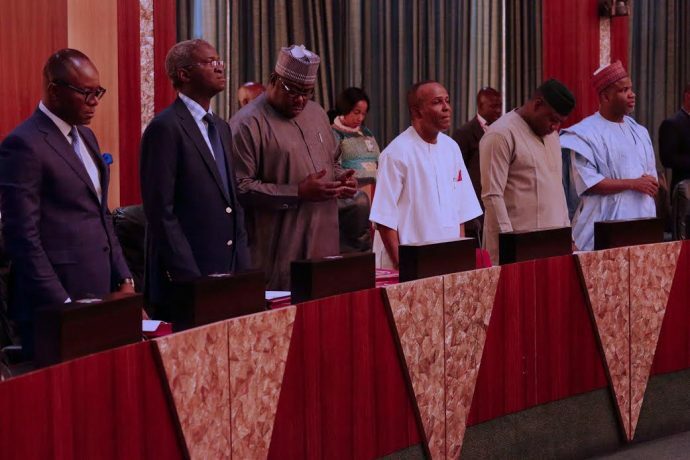 The Federal Executive Council (FEC) meeting chaired by President Muhammadu Buhari today approved moves to check illegal mining in the country . The measure will stop yearly exportation of illegally mined $9 million gold and tin among other minerals. The Minister of Mines and Steel, Kayode Fayemi, disclosed this to State House reporters at the end of the meeting.